Things are ticking along. Here are my Six things in the garden today for this theme hosted by the propagator where you will find news from other bloggers. 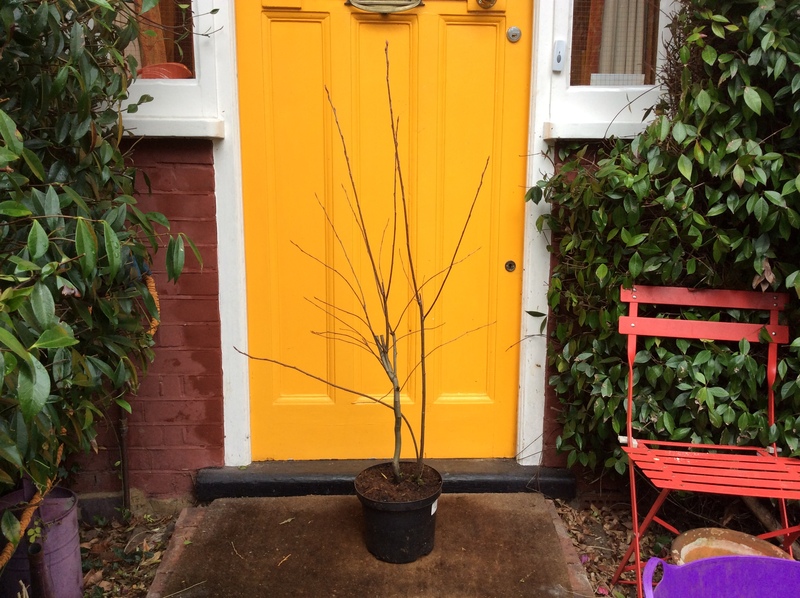 Bought a tree from Thompson and Morgan – Amelanchier lamarckii, to go in the front garden. After much faffing decided on this tree which is supposed to look great in every season. It arrived in perfect condition beautifully packed in a tall box with no excess packaging. Very impressed and will use T and M from now on. I wrote about planting snowdrops here and at last quite a few are coming up outside the back window. I don’t need a carpet of them like some gardens have – just a few to remind me that they herald the start of the growing season and the start of the end of winter. Finally cracked and couldn’t face staring at bags of leaves for another two years until they broke down into leaf mould. 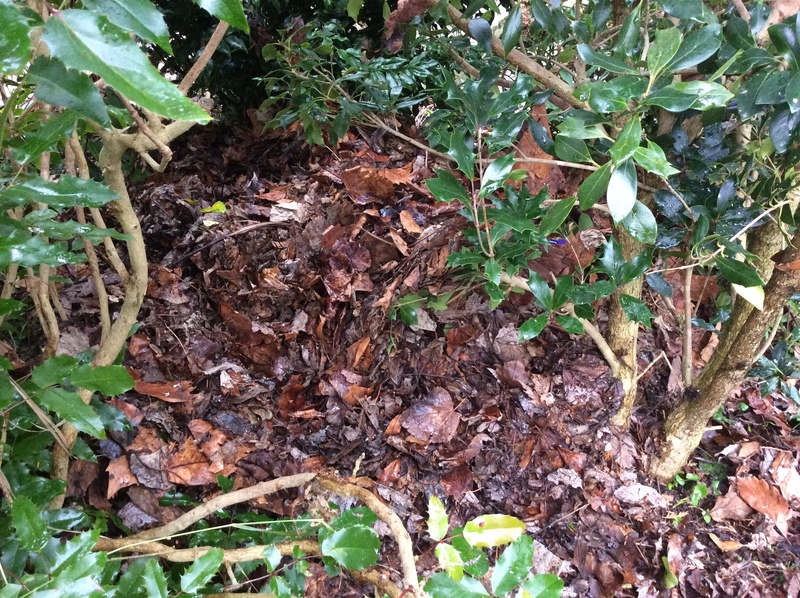 Emptied them under the shrubs where they will give shelter for insects. Maybe in ten years’ time the worms will have taken them down into the soil. It’s really just my own square yard of forest floor. 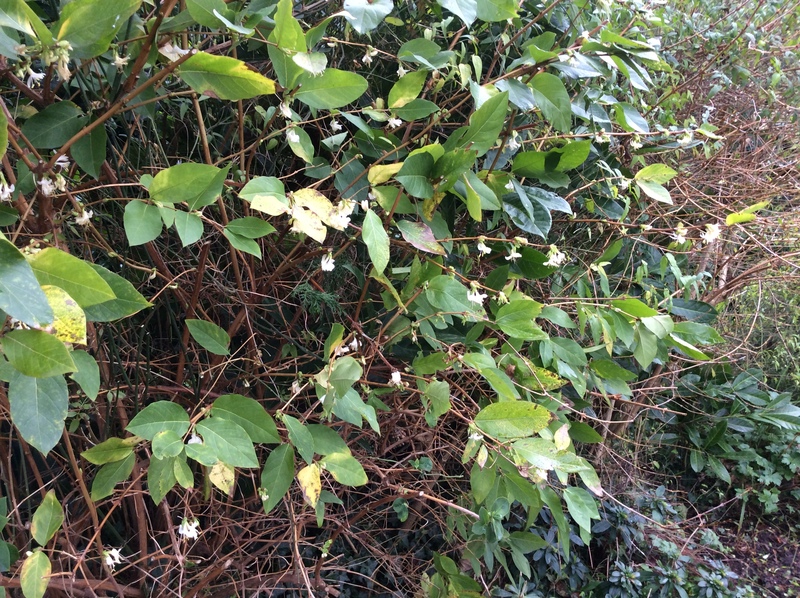 There is wonderful scent from winter honeysuckle – lonicera fragrantissima – and also from sarcococca known as winter sweet box. There are lots of varieties to choose from – all are attractive and easy to grow. 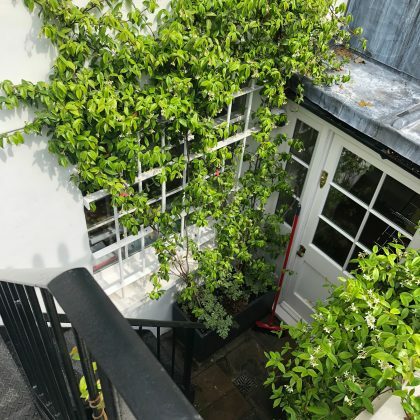 These shrubs are so essential for honey scent through the winter and make such a difference to your trip to and from your front door. 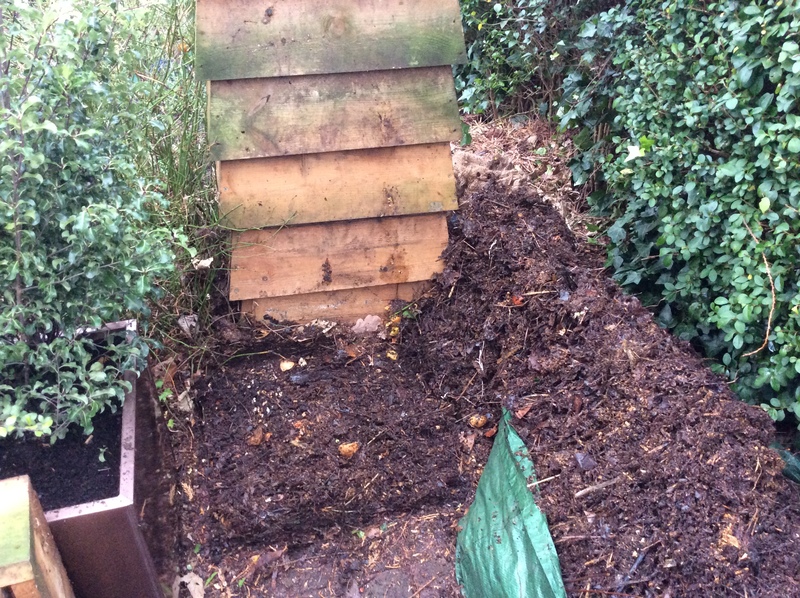 Emptied and dismantled my beehive compost bin AGAIN, so I could rebuild and refill it just for the fun of it. Massive satisfaction and enjoyment handling all that lovely brown stuff made from kitchen waste, green stuff and cardboard. Took out the parsnips, potatoes and carrots which any schoolboy could have told me would not compost down in my lifetime. 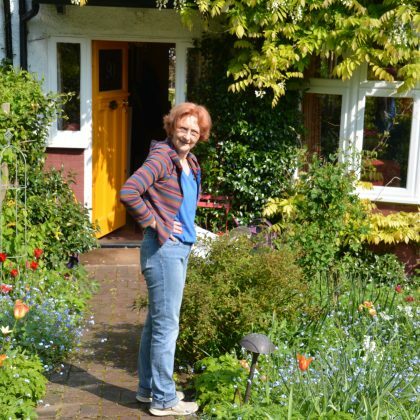 Harriet Rycroft’s post about wonderful front gardens here shows how home owners in Germany and Holland decorate their front garden spaces, however small. 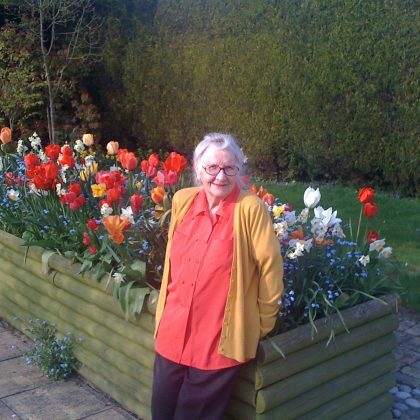 Harriet encourages everyone to make their front approach as welcoming and cared for as possible. 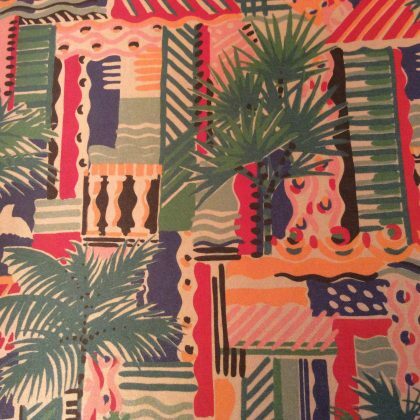 I’ve always had a colourful chair at the front door where I sit for a while on sunny days. To talk to passers by I would have to shout very loud as the front path is 60ft long. That would be weird and I would become known as the mad old bat at no 90. (if I’m not already). follow #friendlyfrontgardens to see more. 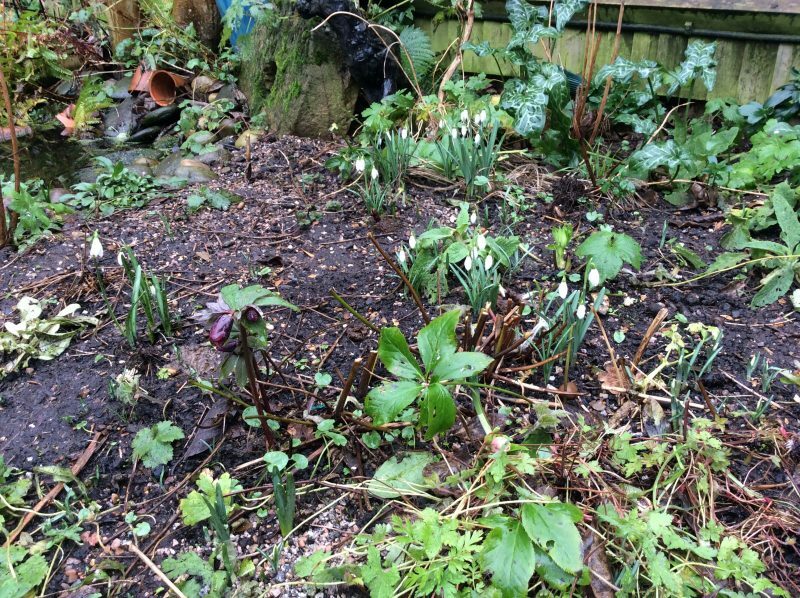 16 comments on "Six on Saturday 20th January"
Snowdrops and hellebores are beautiful at this time of the year. Love your choice of tree. Hope it will look lovely as it grows. Not to long for Spring now. Have seen lots of Catkins on my daily dog walk. 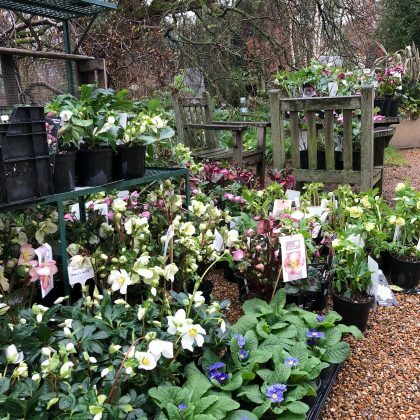 Hello Patricia, I wish I had some decent hellebores but heaven knows where they have gone. I did have some fab red ones but not sure where they are now. I spent so long deciding on the small tree I do really hope the one I have will be OK. Watch this space and thanks for your comment. Great to hear from two people that the leaves will rot down quite quickly. I wish there would be a hedgehog in there but I never see them in the front garden. Thanks for the comment. Also enjoyed Front Doors, Euro Style! 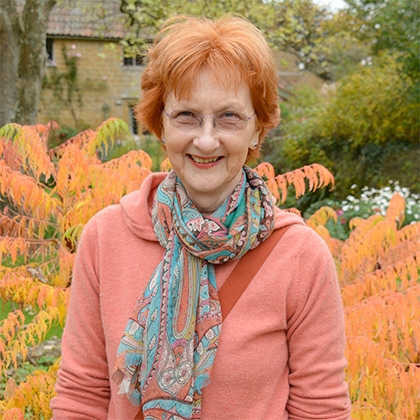 Please have a good look at Harriet’s blog as her photos are marvellous. Thanks for the comment. Perfectly sensible use of part rotted leaf mold. I bet the worms have dealt with it well inside 10 years. 2 at most I’d say. Compost is particularly satisfying, I am busy with mine too. Great to hear the leaves will have rotten down into the soil in no time. I won’t bother with bags next year, just chuck them about! Compost never fails to be exciting does it! Thanks for the comments. Thanks for the mention, Julie. p.s. bought the red pots from Brentwood Garden Centre and he now only has black and blue ones but he does have smaller red ones. I think they were a bit of a one-off. But if you are ever near us here in Highgate I will gladly give you one. Ha! Yes I wasn’t planning on planting it at the front door although my photo looks as if I was!! Thanks for the advice about the leaves and thanks for your comment. A really good winter group from you this week. What is the blossom like on the honeysuckle? 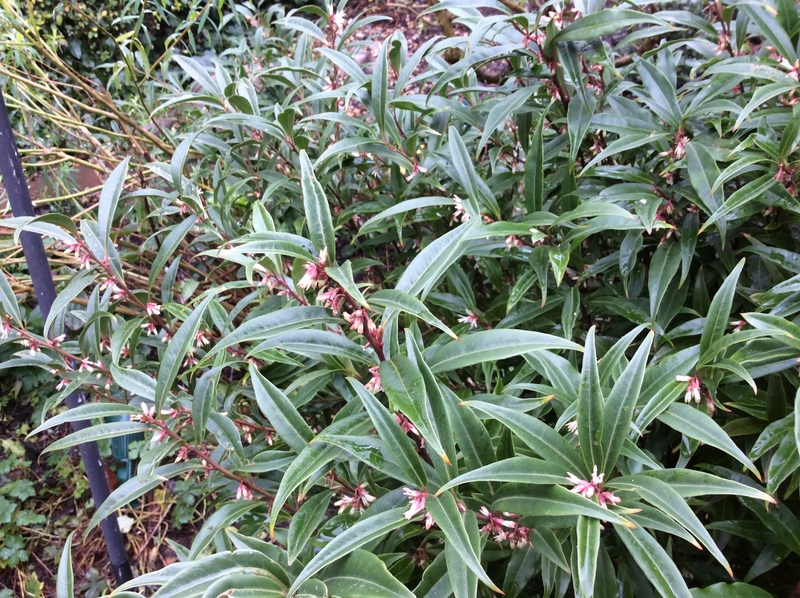 It looks tiny in the photo – tiny & pack a powerful punch or just coming into bloom?